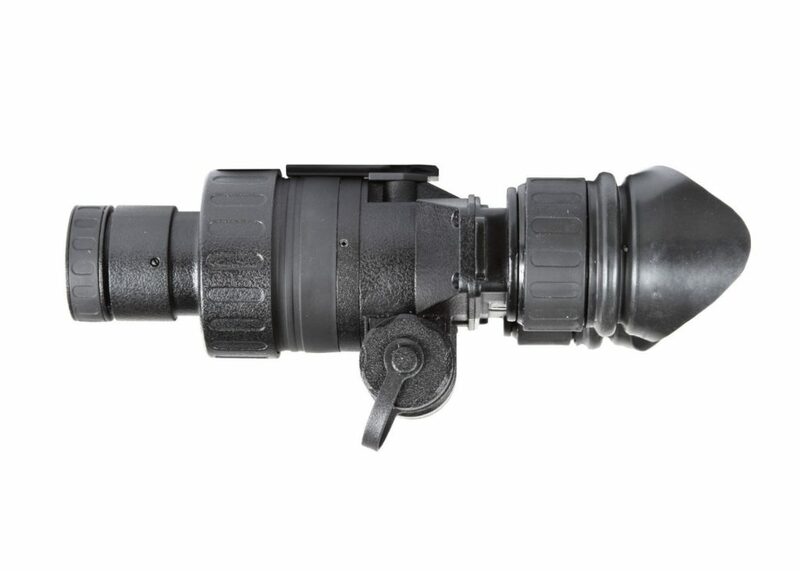 After seeing with my own eyes what Armasight was able to accomplish with their cost effective Generation 1 night vision goggle, the Vega, it would be an understatement to say I was looking forward to get my hands on the Nyx7. This is a second generation device and as such it comes with a very hefty price tag, but after spending some time with it I don’t think the price is unreasonable. A generation 2 device is pretty much a luxury as a generation 1 device would fulfill most of your night vision requirements, but if you absolutely want to take things to the next level I highly recommend a closer look at the Armasight Nyx7-ID Gen 2+. 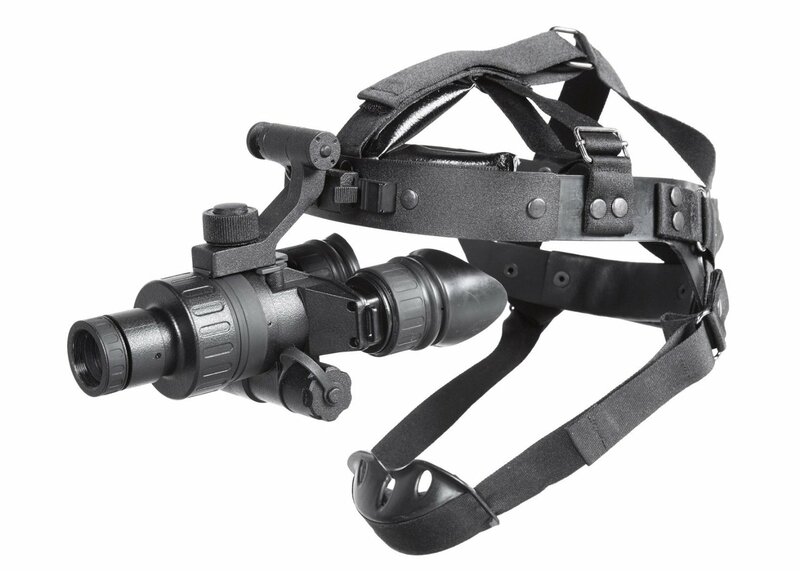 Take a look below at what I thought of these night vision goggles after putting them through their paces out in the field. Although these goggles use a monocular for viewing, the eye piece is designed to fit over both eyes so you don’t have to squint through one eye to operate it. Anyone that has operated night vision goggles with a single eye piece can attest to what a strain it places on your eyes during extended usage. The dual eye viewing system provides much more comfort during long viewing sessions. LED lights inside the eyepiece viewing area will indicate if the automatic bright light cut-off system is active or not, along with other information such as whether the IR illuminator is on or the battery is running low. These LED lights are only visible from within the eyepiece and won’t compromise your position in the dark. As expected from a product in this price range, the optics are all glass and multi coated. Despite the lightweight design, the N7X7 is very robust and able to operate under severe conditions. 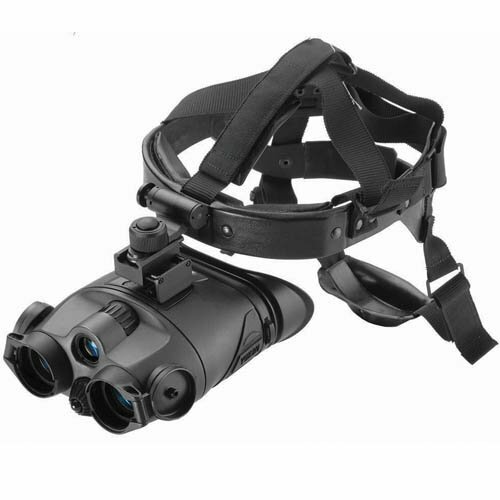 If you require a highly reliable device that won’t let you down in the field, then these are the night vision goggles for the job. It is water and fog resistant, so bad weather won’t slow you down while wearing these. Interestingly enough, these goggles can operate using either a CR123A or AA battery, which is a very useful design feature that I wish more night vision devices incorporated. A bag is included in the package but, although it is durable, it doesn’t feel very practical, which is disappointing considering the price of the goggles. The head mount is easy to put on and with some practice can be equipped with ease. Disassembly and cleaning is also a breeze, which is useful as you will want to keep your equipment in tip top condition. While the unit comes standard with 1x magnification lenses it is also compatible with other accessories, so you can invest in 3X, 5X and even 8X magnification lenses if you want to expand your range to mid or long. 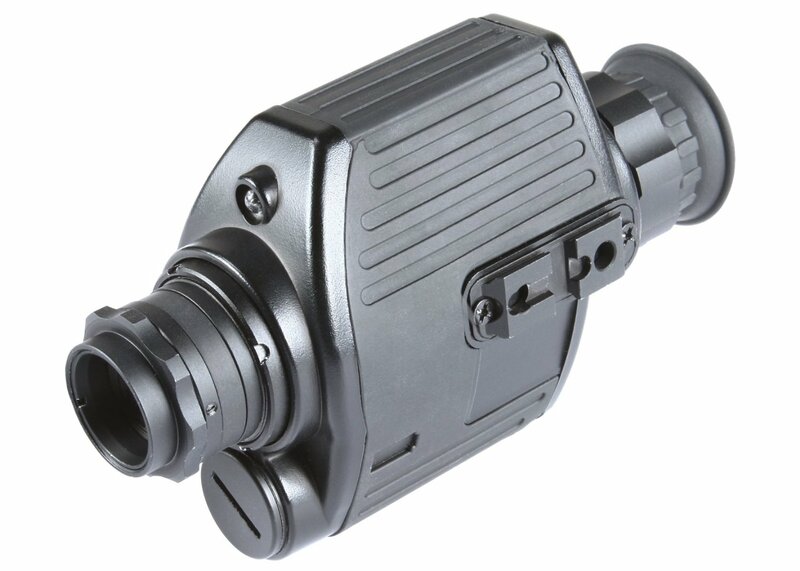 Likewise, the short range infrared illuminator can be augmented with a detachable long range infrared illuminator to expand the illumination range up to 500m. 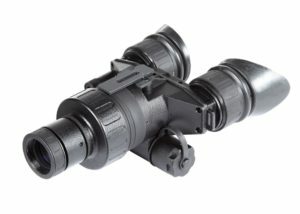 As with most night vision devices, the Nyx7 is susceptible to damage from bright lights, but it features an automatic cut-off system that protects the intensifier tubes if exposed to a bright light. The goggles function quite well without the illuminator and with it active, you get great image clarity. Since these goggles use second generation image intensifier tubes, they don’t require an infrared illuminator that is as bright and active as what you would find on most cheap generation 1 devices. The “improved definition” in the title stems from the fact that this model has a 27mm lens system instead of the normal 24mm and a resolution of 47-54 lp/mm compared to the 45-51 lp/mm of the standard definition model. If these features don’t matter to you, you can still opt for the standard definition version of these goggles and have all the other great benefits while saving some money, but in my opinion it is worth the extra bit of cash. I admit that I was expecting quite a bit from these goggles based on their price tag and I really wasn’t disappointed. The Amasight Nyx7 is a serious piece of equipment and not something that you are going to go out and buy on a whim unless you have won the lottery, but it is also worth its hefty price tag. The generation 2+ image intensifier tubes alone make these a worthwhile purchase as they put all generation 1 technology to shame in terms of visual quality.